Over the weekend, North Korea’s government accused U.S. administration officials of using “gangster-like” diplomacy methods to push for the former country’s move toward denuclearization. 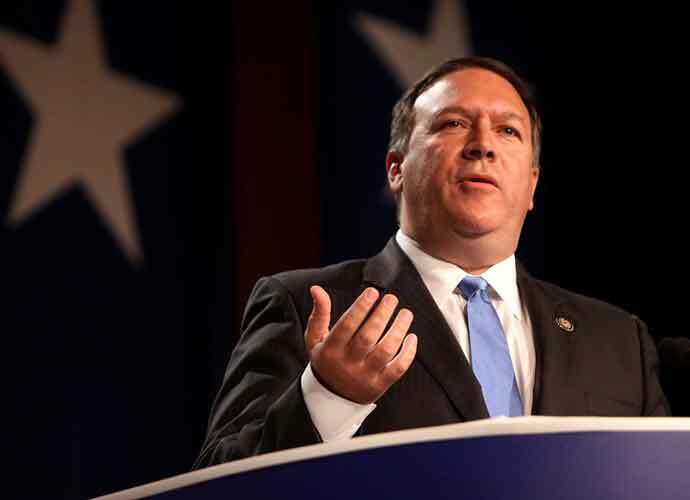 Secretary of State Mike Pompeo responded to these claims by saying other nations and organizations like the United Nations have previously used similarly aggressive methods to try to get authoritarian regimes like North Korea’s to denuclearize, by imposing sanctions or in other ways. North Korean government-run news outlet KCNA made the original comment on Saturday. Just one day earlier, officials from the country had said negotiations with Pompeo turned out “concerning” and “regrettable.” Pompeo, on the other hand, seemed to strike a positive tone when discussing the talks. On Saturday, Pompeo posted a photo on Twitter of him meeting with Korean and Japanese officials. Recent reports have claimed North Korea is still increasing its nuclear arsenal.